This is one of the simple & easy lunch box recipe, the color n flavor of the rice definitely attracts everyone. Perfect rice to pack for your picnic, this rice stays good for 2 days if prepared and handled properly. So my Maternal mom prefer this lemon rice for our vacation trip. 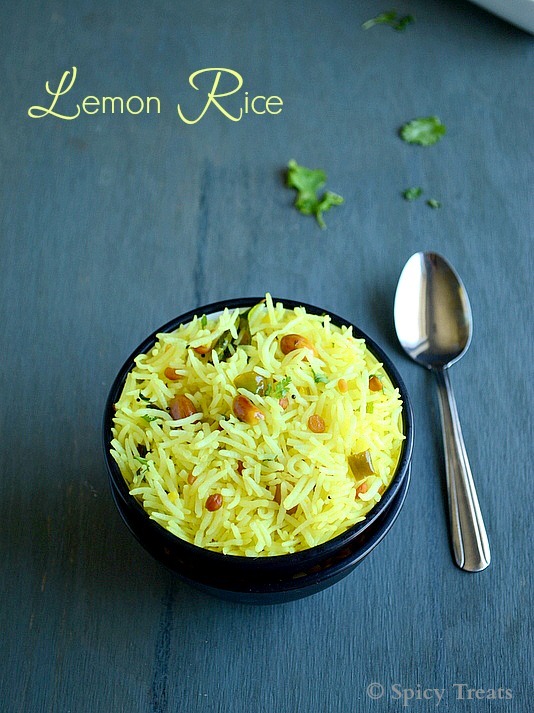 The taste of this lemon rice will be same to that what we get in Temples as Prasadham. 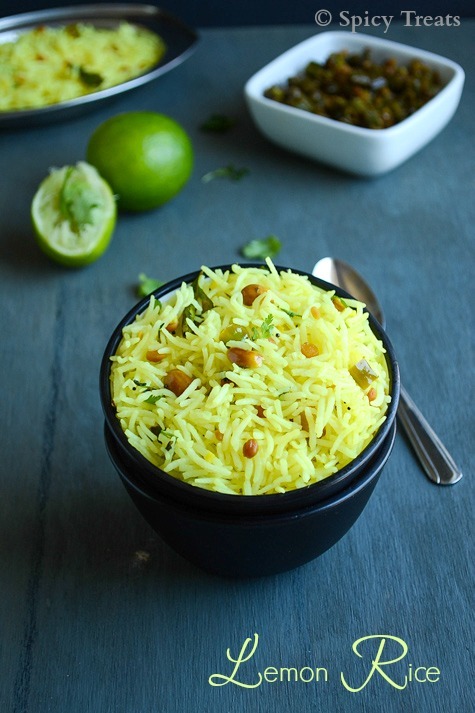 To make it healthy & colorful you can also add some shredded carrots to the lemon thokku to make, Carrot Lemon Rice. (for recipe click on the link)I use limes(green color one) not the lemon (yellow color),which is available in both Indian store and in local grocery stores. Cook rice with a tsp oil. U can use basmati, long grain or sona masoori rice. For 1 cup rice use 1 and 1/2 cup water. After rice done,put rice in a wide vessel to cool down completely. Squeeze all the limes and add about 4 oz of water and keep aside.Chop Ginger, greenchillies, curry leaves, cilantro n keep ready. Heat oil in an available vessel, add mustard seeds and allow to pop. Then add channa dal,urad dal and peanuts and fry till golden brown. Add curry leaves,ginger,green chillies and dry red chillies and fry for a minute. Then pour the lemon juice ,turmeric powder and enough salt and mix well. Add some chopped coriander leaves. Let it boil for 2 minutes only. If u keep boiling for long time it will give bitterness to ur rice. Allow to cool for sometime and add to the cooled rice . Mix gently do not broke the grains, and the lemon rice is ready. 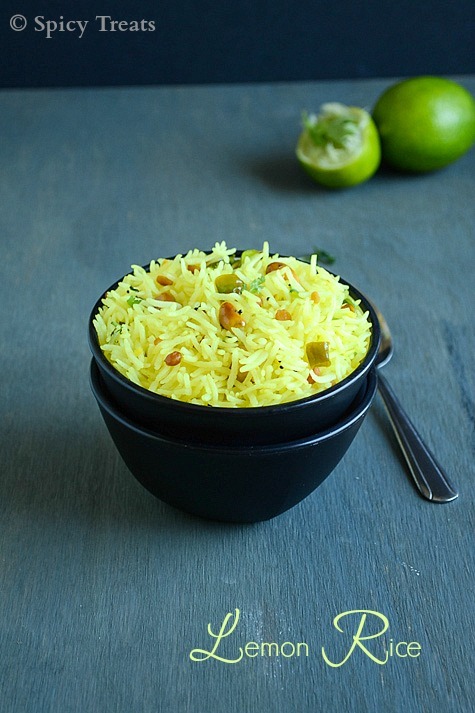 Serve lemon rice with potato fry, cauliflower fry, paruppu thogaiyal, Coconut Chutney or with any desired sides. 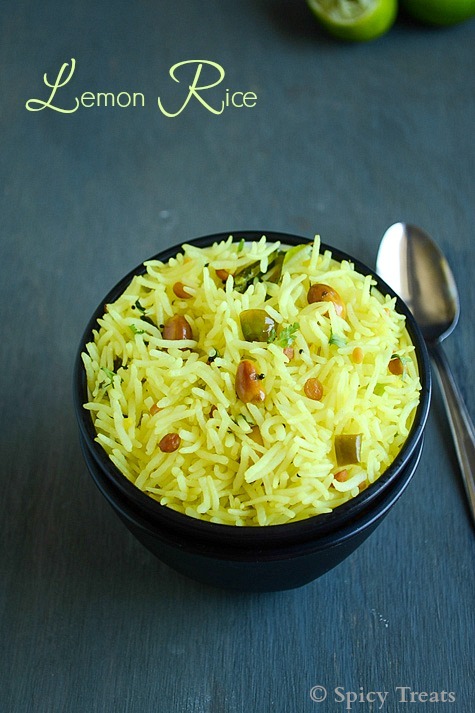 Always mix rice with enough lemon thokku, at that time it will taste more tangy but once it set or after few hours (for lunch box or for ur picnic food) it tastes perfect. Adjust chilli amount to ur taste. Use sesame oil/gingely oil for authentic taste n flavor.